"Hereabouts died a very gallant gentleman, Captain L. E. G. Oates of the Inniskilling Dragoons. In March 1912, returning from the Pole, he walked willingly to his death in a blizzard to try to save his comrades, beset by hardship." "We have one survival bag for every two people." "When the ice cracks, it can sound like massive thunder rolls that seem to go on forever. If it is a serious cracking in the ice, it literally sounds like canon shots." Humanity's fascination with the land at the bottom of the globe dates back at least to the ancient Romans, who imagined Terra Australis Incognita—the "unknown southern land"—and drew it on their maps even though no one had ever seen it. It took a thousand years for this unknown land to become known. Despite the many people who have since visited it, conquering the Antarctic frontier is a never-ending challenge that calls scientists and explorers to risk their lives in the pursuit of knowledge. 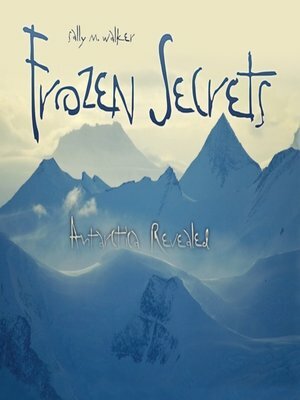 Frozen Secrets is the tale of a continent, the inside story of the critical, cutting-edge research that brave men and women from around the world have done and still do in Antarctica. Sally M. Walker traces expeditions from the earliest explorers to today's research stations, where contemporary scientists work in some of the harshest conditions on Earth.